Add a magical moment to their day. 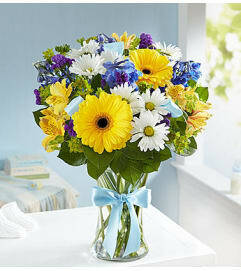 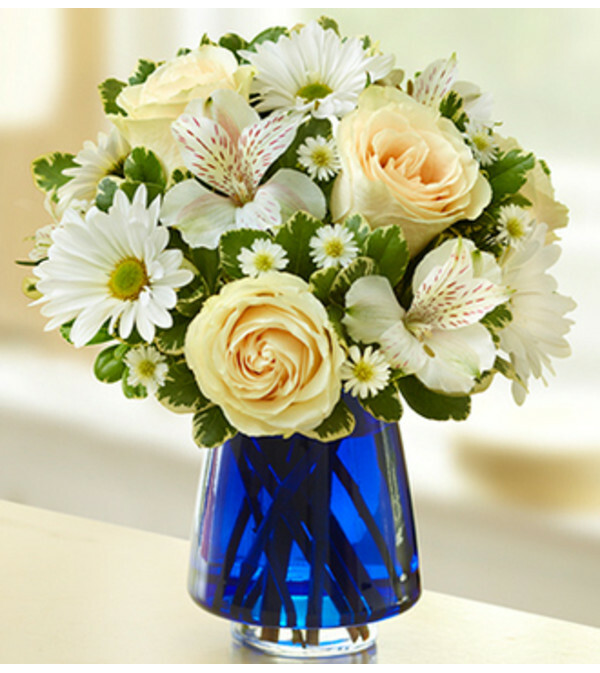 It’s easy with our luminous, all-white bouquet of lush roses, alstroemeria, poms and monte casino. 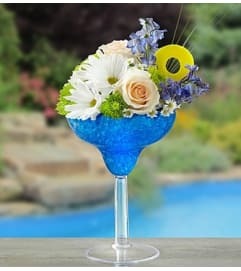 Hand-arranged in a chic cobalt blue glass vase, this sensuous surprise is as memorable as a hand-in-hand stroll with a loved one on a clear, moonlit night.